The need to have access to our work no matter what the day or time seems paramount in today’s business, and the progression of technology means there is no reason we can’t get access to our emails and folders no matter where we are in the world. Phones, tablets, laptops, even watches mean our boss can always get hold of us when they need to. The latest development in office tech is BYOD (Bring Your Own Device) – Not to be confused with BYOB meaning you can choose your favourite device to get the most out of your working hours. 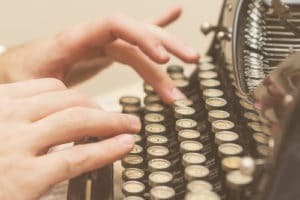 We have looked back at tech in business communication, to see how we went from a typewriter to a watch you can send messages on. Imagine having to get that 50 page tender finished using a type writer! 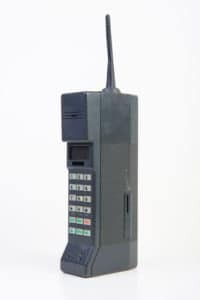 Most children now-a-days wouldn’t have a clue what this is, but there was a time when phones didn’t have screens, never mind a camera.Even the Nokia 3310 has had a recent revamp! Imagine trying to do some last minute bits on this whilst on the train! 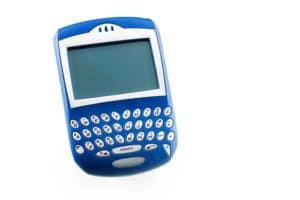 Blackberry introduced the world to working on the go. 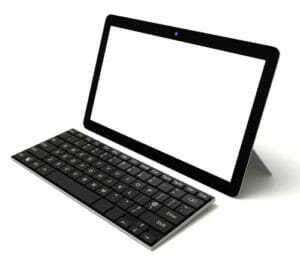 Detachable keyboards allow users to carry the office with them whenever they need. Nothing says, work on the go like a device that lets you track your exercise, respond to an email, and make a call all at the same time – This one has us feeling like Buzz Lightyear! And with developments in devices, comes new inventions in communication apps. Skype for Business, Clickshare and Google Hangouts let us talk, send files, video chat at all times! 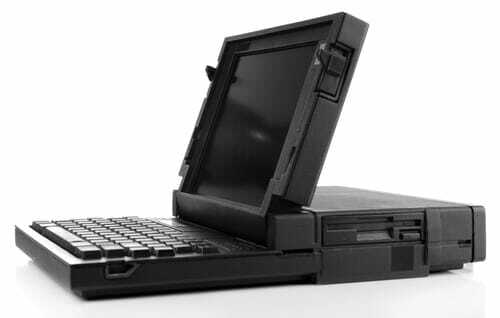 These allow us to have instant communication and help us avoid unread email build up! And we all know that a clear inbox means a clear mind!